The iconic Prince might have passed away, but his legacy still lives on as evident in the sales of his albums which have skyrocketed since his passing. 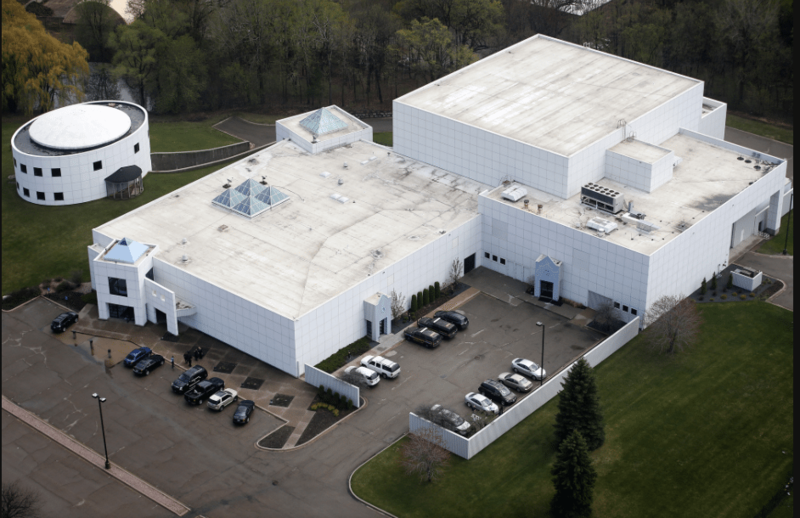 Paisley Park mansion in Minnesota was where the purple rain crooner lived, played and died. One of the most controversial and private celebrities, Prince gave almost nothing away when it came to his private life, however, a virtual tour video released in 2014 gave fans a sneak peek into the iconic artist’s paisley park mansion, and now after he was found dead in an elevator inside the same mansion, paisley park have become even as famous as Prince himself. In time, the conundrum behind the mysterious paisley park could be solved as Maurice Philips, Prince’s brother-in-law has indicated that it may be turned into a museum. And There! Maurice just added to the bucket list of Prince’s faithful. But doesn’t it hit you as an irony, considering Prince never wanted random people to be in it? Well, his purple reign has stopped and his heirs can do whatever they will with what now lawfully belongs to them. Built in 1988, Paisley park named after his song of the same name is the brainchild of Los Angeles architect Bret Thony. At first glance, one would mistake it for a prison building or a commercial warehouse judging from the too few windows, but it belongs to Prince so expect a lot of weirdness. Parts of the interiors which look more like an abode as compared to the outside was designed by BOTO Design Inc. It features designs in purple (Prince’s favorite), with the walls, floors and doors adorned with pyramid motifs as well as his controversial love glyph symbol. Prince had all entertainment essentials inside the paisley park. The 65,000-square-foot building includes two recording studios, a dance studio, 1000-capacity private nightclub Hollywood-style soundstage, office space, relaxing music room, costume department, 10-man wardrobe, relaxation space a restaurant-grade kitchen and a stand-alone grand lobby. Prince could work indoors for days forgetting the existence of another world beyond the walls of the paisley park, no wonder he was such a prolific musician, he practically ate and lived on music. A vault which was found in the mansion revealed about 2,000 unreleased works of Prince as well as his other valuables including his Grammys and Oscars. Perhaps the most fascinating thing about Prince’s Paisley park was the purple hue that came on from a glass pyramid on the top of the building which indicated the presence of Prince. Besides recording/producing music, writing enigmatic lyrics and playing his 27 musical instruments, holding interviews, auditioning for his band, rehearsing for tours and music videos as well as throwing loud parties were some of the other activities that took place inside Paisley park, think of it as a gigantic version of Lucious Lyon’s Empire. Prince obviously lived like his name.